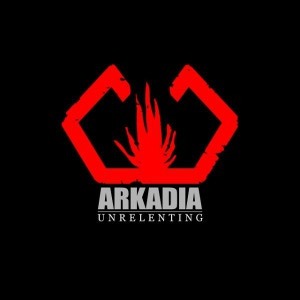 ARKADIA to release debut album in November! Finnish melodic metal band Arkadia will release their debut album “Unrelentingâ” worldwide on November 7th, 2014 via Inverse Records. The album, which was recorded during winter 2014 and produced by Samu Oittinen at Fantom Studio, Ylöjärvi, Finland, is a manifestation of ARKADIA’s relentless attitude since its foundation in 2003 and the journey to ever-larger stages. ARKADIA’s music takes the listener from hybris to anxiety, but also rays of light can be found within the dark accents. Compositions are much larger than the Northern villages the band members originate from and lyrics deal with both personal and universal topics convincingly directly. The band plays vigorously together in tone, reating a peculiarly grooving musical world that even manages to touch at times.